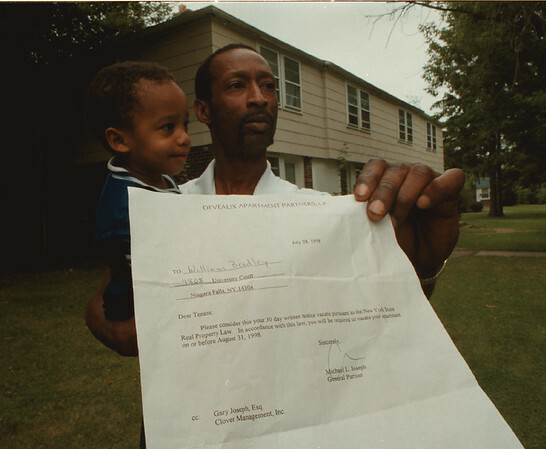 98/07/30 30 Day Eviction - James Neiss Photo - William Bradley and son Isaiah Bradley 21mos., of 4808 University Court is upset with the 30 day notice to move out of his apartment. He and all the other University Court residence must be out by August 31, 1998. He is a single father and forsee's a hardship.